Now that you have all your basic appliances, there are still some essentials that you shouldn’t be forgetting about. Small appliances are all machines that help around the house but in a more carry-friendly size. Presenting the top category for kitchen equipment and appliances that helps you cook the best meals for your family ranging from toaster, blender, chopper, microwave and even coffee maker, you’ll never want to leave the kitchen! Other small home appliances are available to help you with everyday chores. Tank water filter for water purification, vacuum cleaner to tidy up your home fast and easy, heat and steam irons to demolish all wrinkles from your shirts and pants. Jumia Egypt offers best-selling brands like Philips, Kenwood, Braun along with many others. With promising prices and remarkable quality, all your worries will vanish in a second. 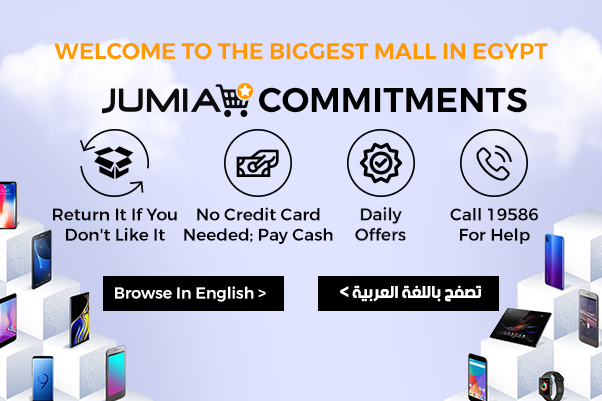 Jumia Egypt provides with you the best and most exclusive offers so shop now and let our small appliances help you around the house to make it fun and easy getting all the chores done! Shop now at Jumia Egypt.